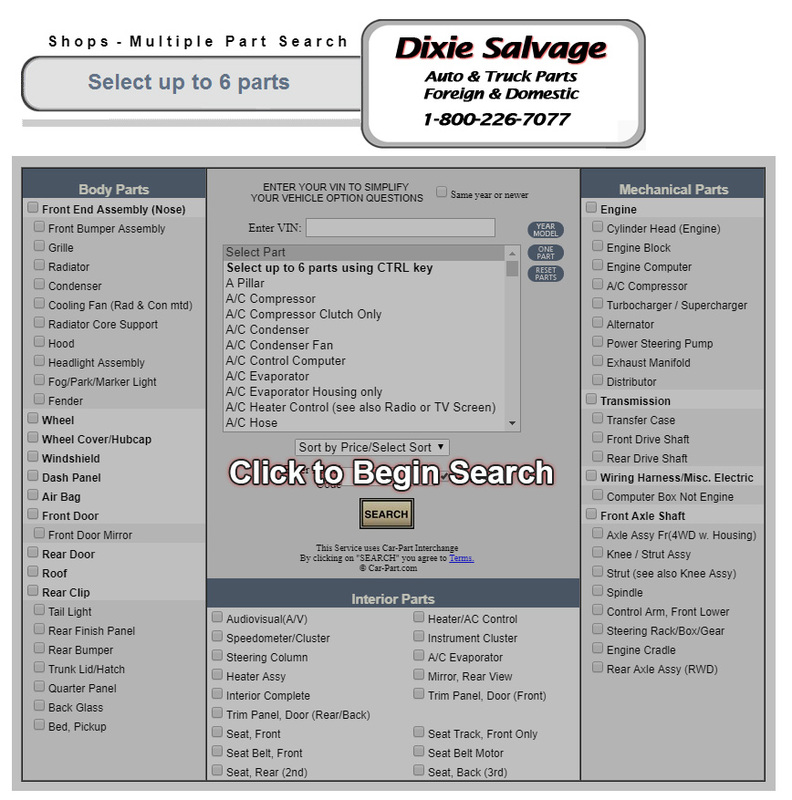 It’s easy to get all the parts you need for a big repair job with Dixie Salvage. Our multi-part search allows you to look up many parts at one time by VIN (vehicle identification number), ensuring accuracy. The VIN includes model information such as engine size, transmission type and trim level, as well as other details that help establish the EXACT part you need. PLEASE NOTE: A VIN (vehicle identification number) ALWAYS has 17 digits…no more, no less. Whenever a VIN is requested, quickly count the digits to ensure accuracy and maintain the integrity of our parts search before inputting the VIN. Thank you for choosing Dixie Salvage!